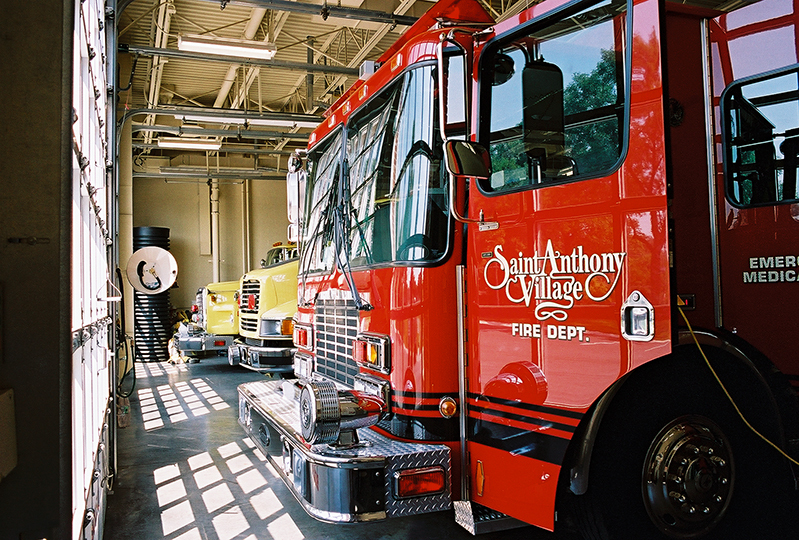 St. Anthony Fire Station — OERTEL ARCHITECTS, LTD.
A complicated project, this building was bid in several packages to make best use of fall weather conditions. During the earthwork phase, the project was valued engineered and re-redesigned several times. There were strict budget concerns, high standards for the exterior fenestration, and defined needs of the fire fighters. Drive through bays and a cyclical vehicular movement through the site were preferred and considered critical to the safety of the community and the department. The building is of brick veneer and cast stone. A combination hose tower and training tower is at the rear of the building. An entry for the public is located at the front of the building, for the use daily visitors, since free blood pressure tests are performed. 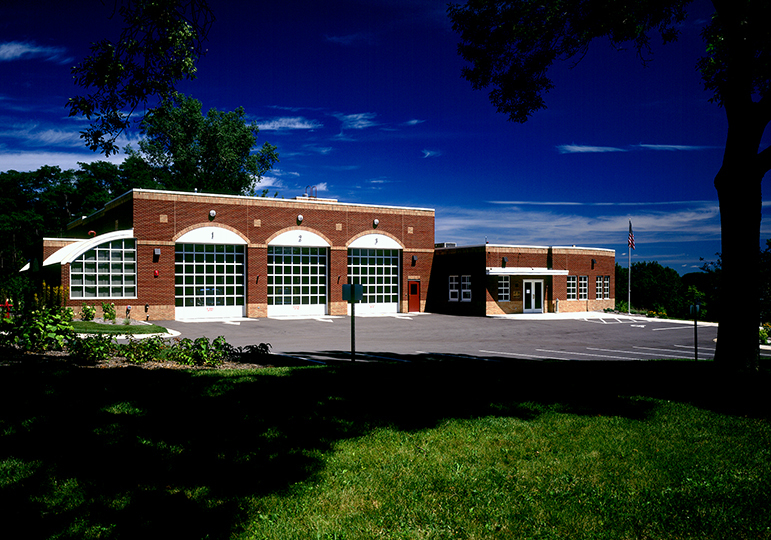 There are three shifts of fire fighters who use the facility in addition to the on-call staff. Dorm rooms are located in a separate area to the back of the facility, along with a multi-use space and lockers. Offices, work areas, a training room and other support areas are located off of the public entrance.